Life of a mad typer: Do you think it's ok to date a co worker? Do you think it's ok to date a co worker? 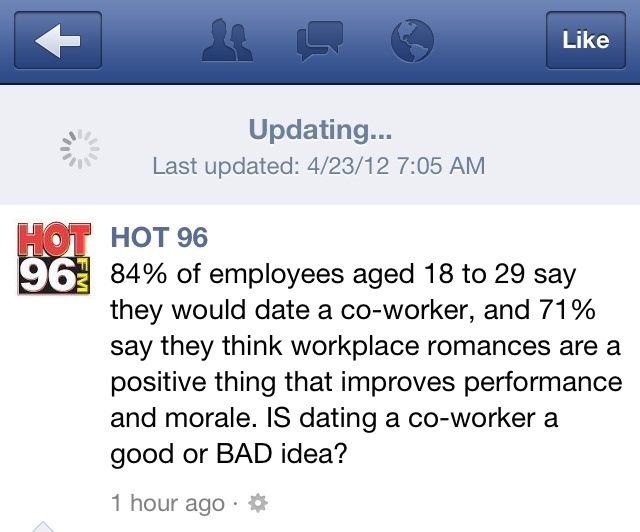 So hot 96 was asking If your thought if was ok to date a co worker. The response from this person had me dying while on break at work.